The Fall 2018 Meeting of the MD-DC-VA section of the MAA was held at the University of Mary Washington on November 2-3, 2018. On Friday,Ryan Gantner of St. John Fisher College ran a workshop on Developing Classroom Culture With IBL, and Eve Torrence of Randolph-Macon College gave the banquet address, A Mathematical Art Gallery Tour. The Saturday morning address, How Much is Too Much? Axiom Systems and Reverse Mathematics, was given by Kira Hamman of Penn State, Mont Alto, and the Saturday afternoon address, Unexpected Zetas!, was given by Dominic Lanphier of Western Kentucky University. Abstract: In this two-hour workshop, we will explore ways to help foster a culture of learning in your course. We do this through an inquiry-based learning (IBL) approach. Acknowledging that each instructor has a different style, different goals (both stated and unstated) for the course, and a different set of physical and environmental constraints, we will discuss a variety of IBL approaches and when they might be most appropriate. Through these approaches, we will determine the aspects of classroom culture we seek to bring out and develop a strategy for doing so. All are welcome to attend this workshop: those who are experienced practitioners of IBL methods, those who are curious about what this means, and anywhere in between. 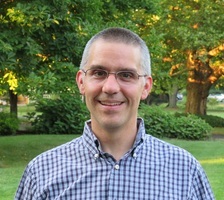 Biographical Sketch: Ryan Gantner received a Ph.D. from the University of Minnesota in 2006 and has been a professor at St. John Fisher College in Rochester, NY ever since. In 2014, he was a co-founder of the Greater Upstate New York Inquiry-Based Learning Consortium (UNY IBL). This group has sought to promote inquiry-based learning in the region through workshops, mentoring, informal meetings, and other connections. After a few years, he has assumed the role of director of this group. More recently, he has been involved in advancing inquiry-based teaching methods into the K-12 community. In 2018, he co-led a Math Teachers' Circle series targeting inquiry teaching and the Common Core. 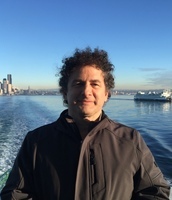 Currently he is a PI on a project titled “Math Circles of Inquiry” through which middle and high school teachers are developing inquiry-based modules for their classrooms. Together with his involvement with the NSF PRODUCT project, which produces IBL summer workshops (among other things), and his day job, he keeps himself fairly busy. But sometimes he would rather be at home playing with his two daughters, or hiking, or riding a bicycle. Abstract: Over the past several decades there has been a revolution in using the arts to express, display and explain mathematical concepts. The international Bridges Organization organizes annual conferences that celebrate connections between mathematics, art, music, architecture, education and culture. There are wonderful exhibits of mathematical art at these conferences and at the Joint Mathematics Meetings every year. We will take a tour of some of my favorite pieces from these shows and see the incredibly creative ways mathematicians and artists are making mathematics visible. 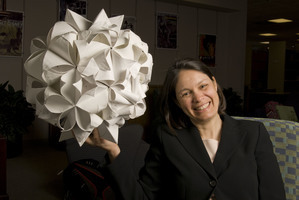 Biographical Sketch: Eve Torrence is a professor of mathematics at Randolph-Macon College. She has served as chair of the Maryland-DC-Virginia Section of the MAA and as President of Pi Mu Epsilon National Mathematics Honor Society. She is a member of the Board of the Bridges Organization and has served as Program Co-chair and Proceedings Co-editor for the 2016 and 2018 Bridges Conferences. Eve's sculpture “Day” was awarded the People's Choice Award at the 2015 Bridges Conference Mathematical Art Exhibition. Abstract: What are we assuming when we do mathematics? This is the foundational question that underlies mathematical logic and is at the root of its many crises and schisms. At least as far back as Euclid, mathematicians have sought to identify and justify the precise axiomatic foundation upon which they are building; their success has been, shall we say, mixed. From Russell's Paradox to Gödel's theorems to the Axiom of Choice, the question has taken on increasing complexity over time. But not every proof requires a full complement of set-theoretic axioms. Some require just a few, while others are more demanding. A relatively new area of research, Reverse Mathematics, seeks to calibrate the axiomatic needs of individual theorems and compare them to those of other theorems. The result is a hierarchy of proof-theoretic strength that can be thought of as a partial solution to Hilbert's Program. We will introduce that project and discuss a few of its more surprising results. Biographical Sketch: Kira Hamman teaches mathematics and directs the honors program at the Mont Alto campus of Penn State. 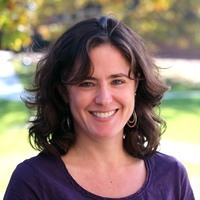 In addition to set theory and logic, she is interested in the intersections between quantitative literacy, social justice, and democracy, and in bringing mathematicians and their expertise into the public discourse. Abstract: Zeta functions, such as the Riemann zeta function, are subjects of some of the most difficult problems in mathematics. Indeed, two of the seven millennium problems (the Riemann Hypothesis and the Birch-Swinnerton-Dyer Conjecture) involve zeta functions. Ever since Euler solved the celebrated Basel problem, values of zeta functions have seemed surprising, mysterious, and deep. Nevertheless, zeta functions and their values can and do show up naturally in undergraduate-level problems. We will review some history of zeta functions and their values. Along the way, we will become acquainted with some unexpected appearances of zeta functions. 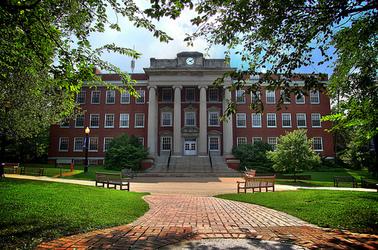 Biographical Sketch: Dominic Lanphier is Professor of Mathematics at Western Kentucky University. He held postdoctoral positions at Oklahoma State University and Kansas State University. He was an undergraduate at the University of Michigan and received his PhD from the University of Minnesota in 2000. He studies number theory and discrete mathematics. However, he is happy to work in any branch of mathematics!